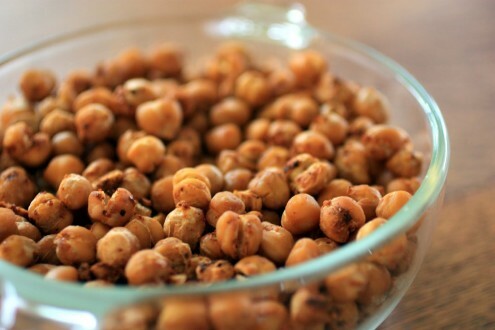 Moroccan Roasted Chickpeas | Naturally. Growing up, I hated beans. Then, I eventually grew into loving beans, especially chickpeas in any form. I mean, I could eat hummus every day, falafels every night, and sprinkle chickpeas on my salad. So, when I found a recipe for roasted chickpeas, I jumped all over it. I love chickpeas (did I mention this?) and this recipe makes the perfect snacking food! Your photo of the roasted chickpeas is stunning! Glad you liked it. I love roasting chickpeas and these looks tasty. Love the photos too!